One of the protagonists of the sixteenth century in Milan was certainly the artist, engineer and scientist Leonardo da Vinci. 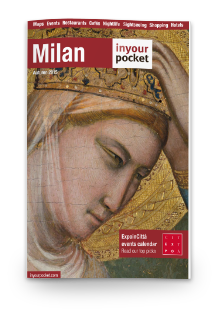 Leonardo lived in Milan from 1482 to 1500, one of the most significant works he left to the city is definitely the Last Supper, housed in the ancient refectory of the Milan Church of Santa Maria delle Grazie. Discover this masterpiece of the sixteenth century thanks to the promotion MilanoCard + Last Supper, don’t waste your time! Click here and book your entry. The church was built between 1492 and 1493 by the Duke of Milan Ludovico il Moro as a mausoleum of his family. It is a basilica with three naves, with ogival vaults and gable facade, following the Gothic tradition. The aisles are covered with cross vaults with creases, straight lines with capitals. The minor naves are flanked by rows of seven square side chapels, lit by a central round and two pointed arched windows. In 1492 the new lord of Milan, Ludovico il Moro, in the aftermath of the sumptuous marriage with Beatrice d’Este, decided to erect a monument that also witnessed the new style in Milan now widespread in the richest and most up-to-date courts of the peninsula. The tribune is attributed to Bramante, even if there is no documentary evidence, except that Bramante, in those years, was a ducal engineer. 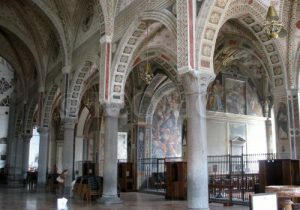 Starting from 1539, the complex became the seat of the Inquisition Tribunal, governed by the Dominicans and transferred here from the primitive seat of Sant’Eustorgio. 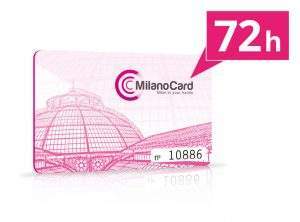 Thanks to Milan City Pass you can visit the Basilica of Sant’Eustorgio at a discounted price, click here and find out how. The decoration of the Church of Santa Maria delle Grazie is perfectly preserved. In the cloister next to the tribune, on the door leading to the sacristy, there is a fresco by Bramantino. In 1494, the Duke of Milan, Ludovico il Moro had financed major renovations and embellishment of the whole complex of Santa Maria delle Grazie, and began to think about the decoration of the refectory. A traditional decoration was chosen on the smaller sides, representing the Crucifixion and the Last Supper. The Crucifixion was frescoed by Donato Montorfano. On the opposite wall, Leonardo da Vinci frescoed the Last Supper. Leonardo did not like the fresco technique, he chose to paint on a wall as he painted on a table. This technique was at the origin of conservative problems, above all due to the humidity of the environment, bordering the kitchens. The fame of the Last Supper by Leonardo da Vinci is testified not only by the written sources, but also by the numerous copies made of it, both in natural size (frescoes, canvases and plates), and on light supports, such as drawings and engravings. The painting is based on the Gospel of John 13:21, in which Jesus announces that he will be betrayed by one of his apostles. Leonardo studied the “motions of the soul” of the apostles surprised and bewildered at the announcement of the imminent betrayal of one of them. Inside the perspective box of the room, lit by three windows on the back and with the front lighting from the left that corresponded to the ancient royal window of the refectory, Leonardo da Vinci set the long dinner table in the foreground, with the figure in the center of Christ. With his gesture of quiet resignation, Jesus constitutes the central axis of the compositional scene. Around Christ the apostles are arranged in four groups of three. Don’t waste time! 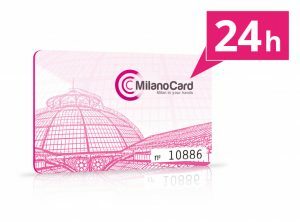 Buy the MilanoCard + Last Supper promotion and discover this Renaissance masterpiece!